Kicking off the global #AllDaySmile campaign, Bobbi Brown pays homage to its hometown—New York City—with international Global It Girls Olivia Palermo and Patricia Bright, documenting their adventures in the Big Apple and capturing what makes them smile. Each of the style and beauty stars offers a mini-guide to their go-to spots while giving the brand's newest innovation, Skin Long-Wear Weightless Foundation SPF 15—an ultra-lightweight formula with a multidimensional matte, full-coverage finish—a real-life road test. The result? All day wear, all day smiles. New York City-based international style icon Olivia Palermo gives a tour of her Brooklyn neighbourhood and shows off her signature look starting with Skin Long-Wear Weightless Foundation SPF 15 in Natural. 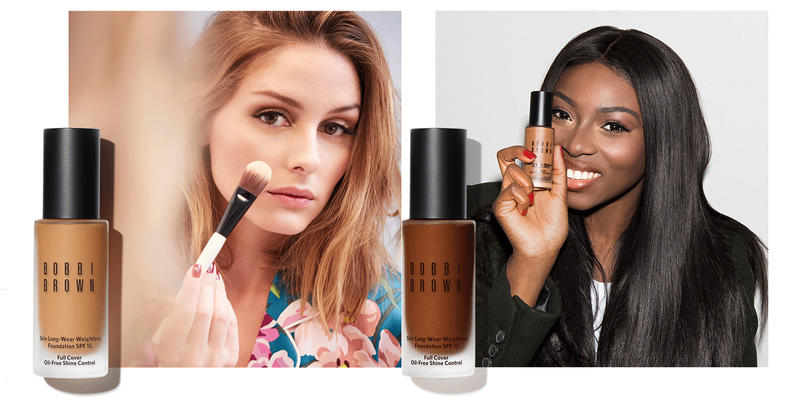 "It's the foundation (no pun intended) for building your look for the day" says Palermo. From cookies at her favourite Brooklyn bakery One Girl Cookie to combing the shelves at Powerhouse Books for a new read to an end-of-the-day cocktail at hot spot Cecconi's, Olivia remains flawless—no touch-ups necessary. Touching down in NYC for a day, reigning British beauty vlogger Patricia Bright packs her itinerary with stops at all her favourite places. Waking up at the trendy The Williamsburg Hotel, Patricia begins her day by applying Skin Long-Wear Weightless Foundation SPF 15 in Almond to ensure her makeup remains fresh for the long day ahead. "It complements my skin effortlessly without drying it out in the process" says Bright. Between swinging by Sauvage for a fun brunch with friends and taking in the glittering skyline views while sipping cocktails at Celestine, the social star keeps her #nofilter look going with her favourite new foundation. It has also been rumoured that jet-setting Korean makeup artist and beauty blogger Pony, would be included in the #AllDaySmile campaign which has yet to be confirmed. If she is? we will see her checking off all her must-see NYC spots while wearing her Bobbi Brown must-haves. As she peruses her favourite artists' works at The Whitney Museum, shopping at Jeffrey and grabs a bite at restaurant-of-the-moment Old Rose, Pony stays fresh-faced with Skin Long-Wear Weightless Foundation in Ivory. "It makes my skin look even—controlling shine in oily spots and giving my skin moisture where it is dry—and matte, never flat" says Pony. 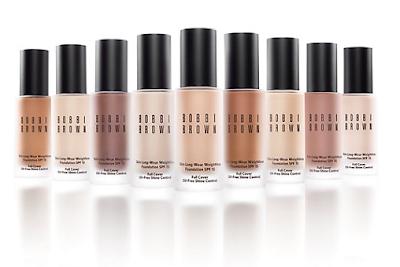 Bobbi Brown Skin Long-WearWeightless Foundation SPF15 is a skin-loving formula that glides on seamlessly for natural, multi-dimensional matte coverage that's breathable and weightless. Created with a high speed cold fusion process, this ultrafine, silky emulsion combines perfect, full coverage with a comfortable, second-skin feel and just-applied finish that lasts. True-to-skin pigments blend perfectly into skin, delivering a full yet natural coverage that stays smooth, crease-free, and color-true all day in 30 shades perfectly calibrated by Bobbi Brown makeup artists. The Bobbi Brown brand is excited to partner with these three influential women to launch its global campaign and celebrate its New York City roots.